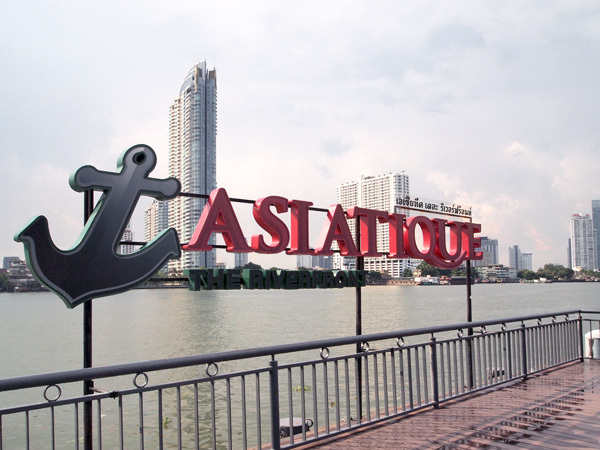 I’ve always heard about Asiatique, but never gotten a chance until this trip with TBEC! Omg. No wonder it’s the largest outdoor shopping mall in Bangkok. Shops and restaurants here open at 6pm till late, up to 2am. 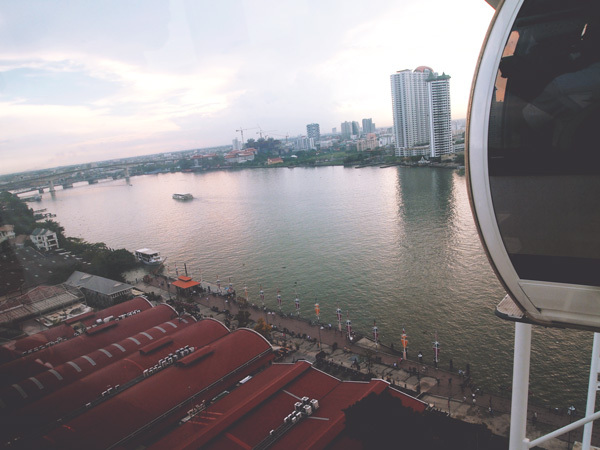 To get to Asiatique, take the BTS to Saphan Taksin station, then board the free shuttle bus boat via Exit 2. 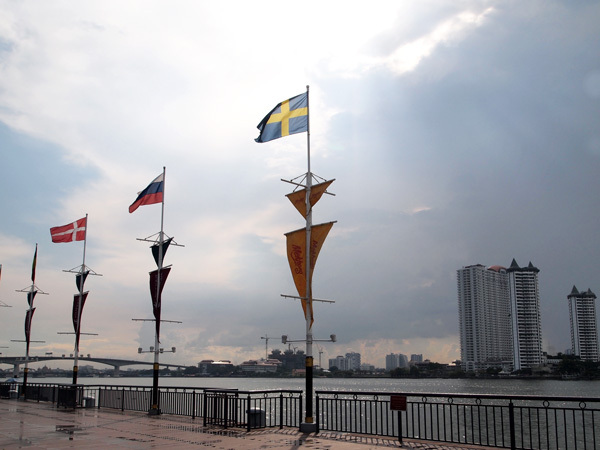 Stroll along Chao Phraya River at the Waterfront District. If you’re tired drop by at one of the fancy restaurants for a meal haha. 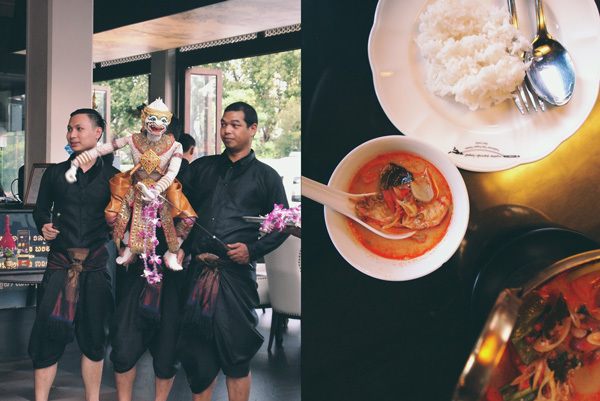 Or you can also have a traditional Thai dinner at Joe Louis Restaurant while being entertained by a puppet show. Sometimes I get so torn when there are performances during mealtime. 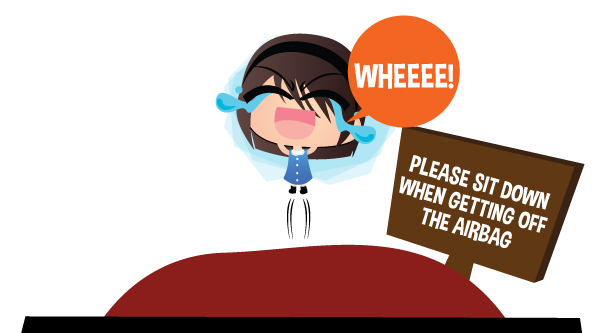 What should I do omg! … these kinda view omfgbbqsoniceright! 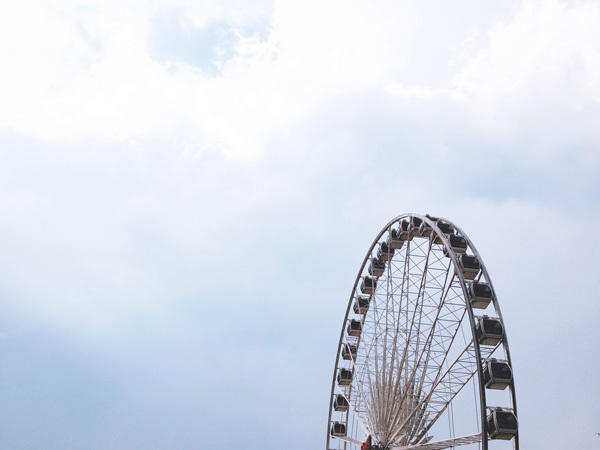 Remember to go up around sunset for the best view! 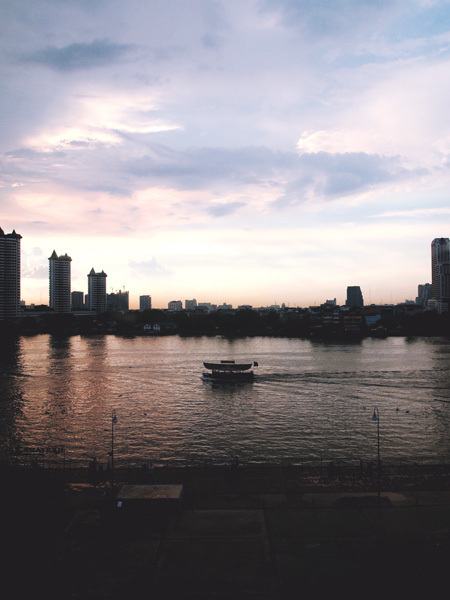 But if sunsets, rivers and buildings are not your cup of tea, you might like abs and fit men! 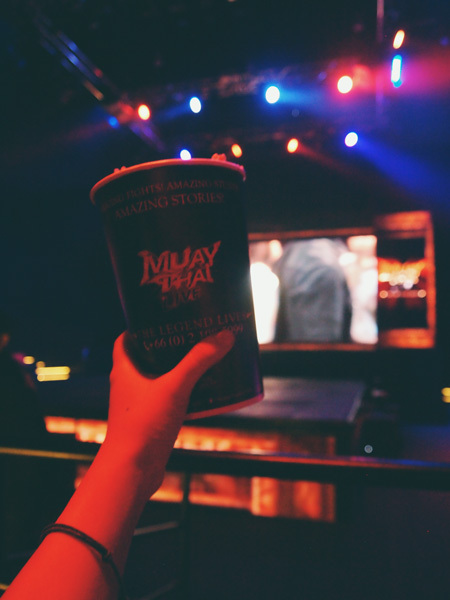 Actually they are a part of live show in Asiatique called Muay Thai – The Legend Lives. It’s not a Muay Thai fight (Which I initially thought it was heheh) but a story on how Muay Thai originally came about and how it transcended time till today. They perform daily at 8pm and tickets are priced from 1200 baht for regular seats and 1500 baht for premium seats. 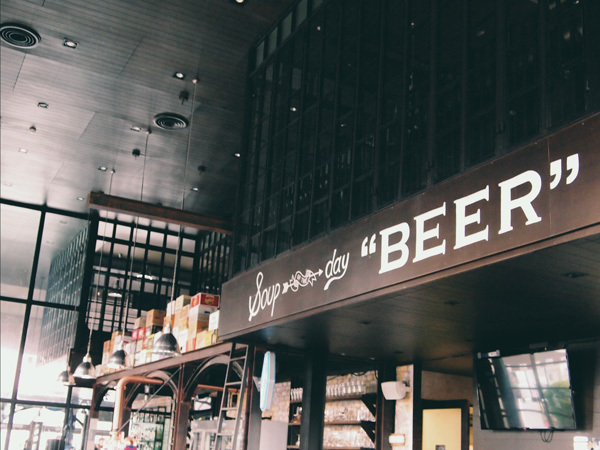 But if hot men are not your cup of tea, just head on to BREW and choose from 380 beers and drink till Asiatique closes. 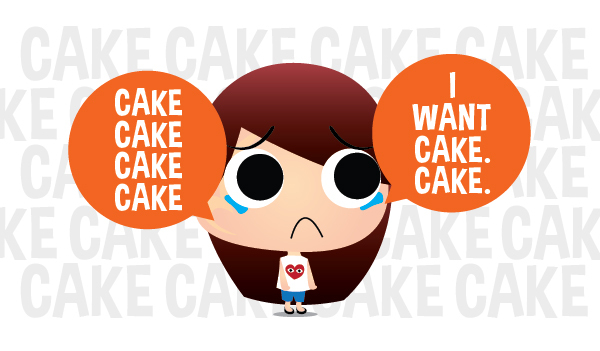 Next Post (n)	#bimbofriends Where's My Cake?